"Azuma minamoto no MASAHISA" is a long established knife shop in Tokyo Tsukiji Wholesale Market. Founded in 1872, our knife shop evolved from the swordsmiths of Genji. 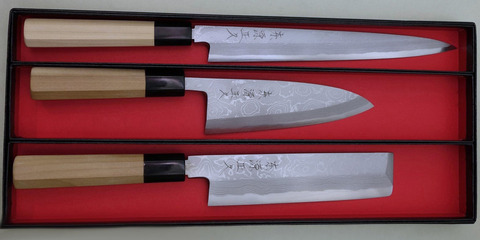 Our products have been favored by a wide range of customers, such as professional cooks, fish markets and the home kitchen chef. 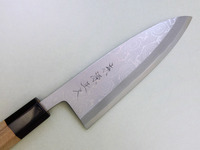 Please view our Web site, where you will find several of our products featured. 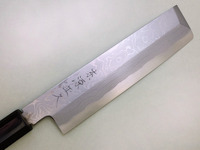 We welcome overseas orders. Please feel free to email us if you have anyquestions, even trivial. We will gladly recommend the best knife for your needs. "Yasuki Blue No.1 steel(Aogami No.1)"
”West Japan style Sashimi knife"
Sashimi knife that was born in the Kansai region of Japan.Single-edged thin and long shape.Best for slice Sashimi by taking advantage of the length. ”East Japan style Sashimi knife"
Sashimi knife that was born in the Tokyo of Japan.Single-edged thin and long shape.Best for slice Sashimi by taking advantage of the length.Blade is thin and straight compared with Yanagiha. 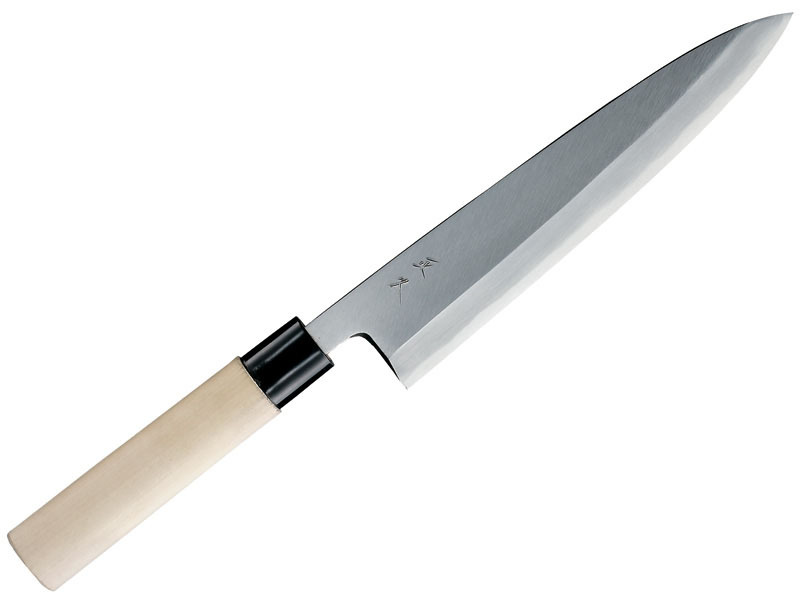 The best kitchen knife to fillet fish. 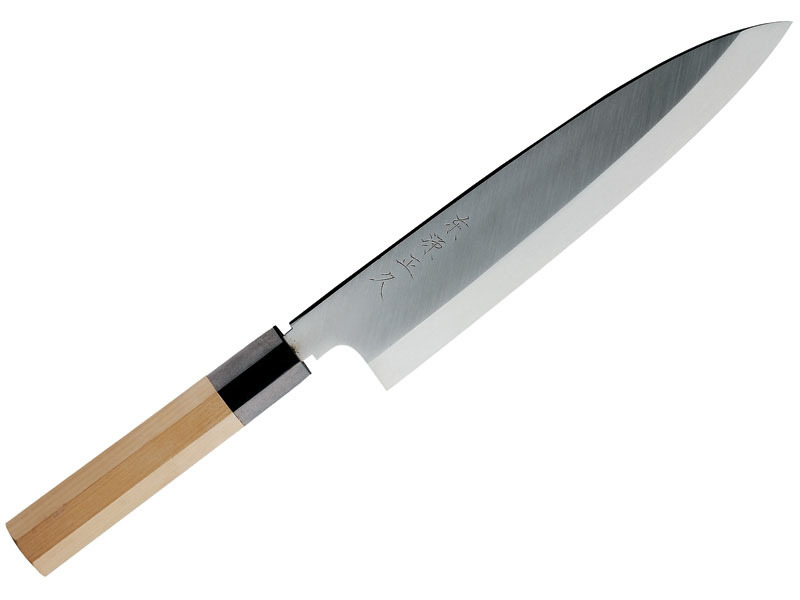 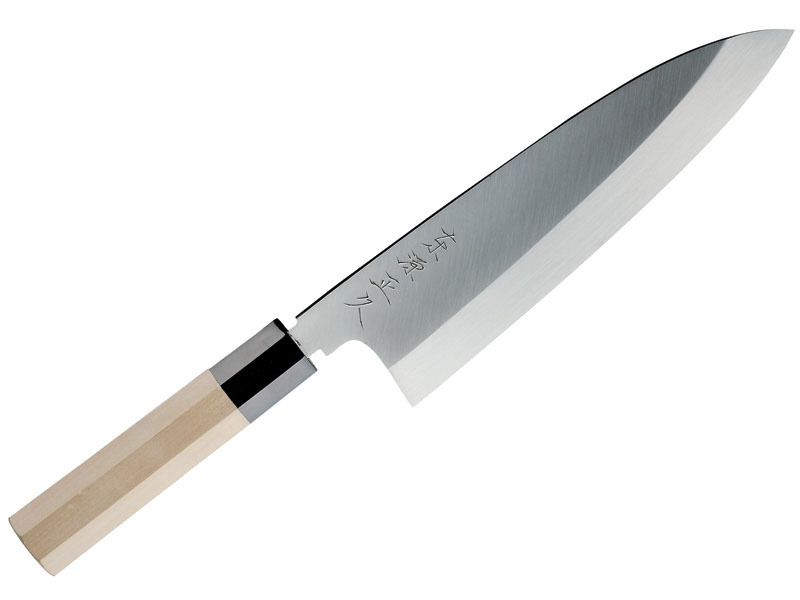 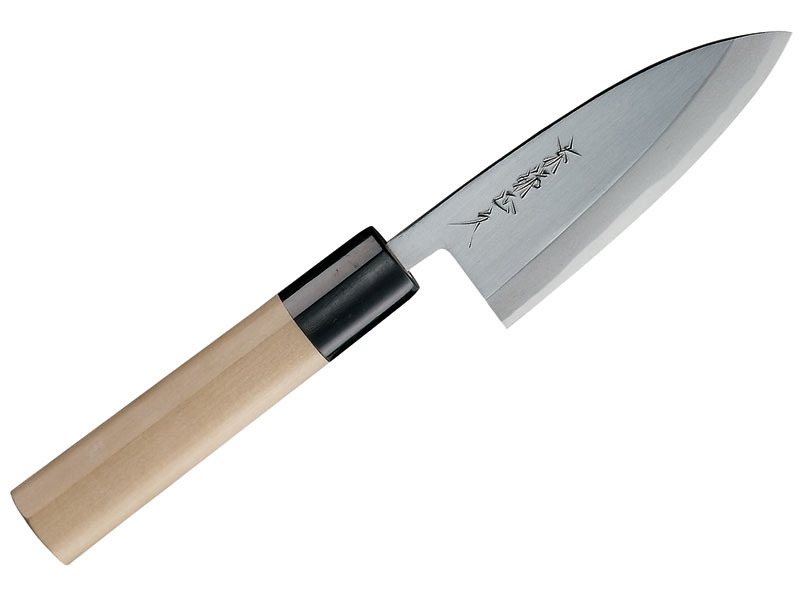 Thick & tough to cut the bones of chicken and fish.It is best to change the size of the Deba to match the fish. 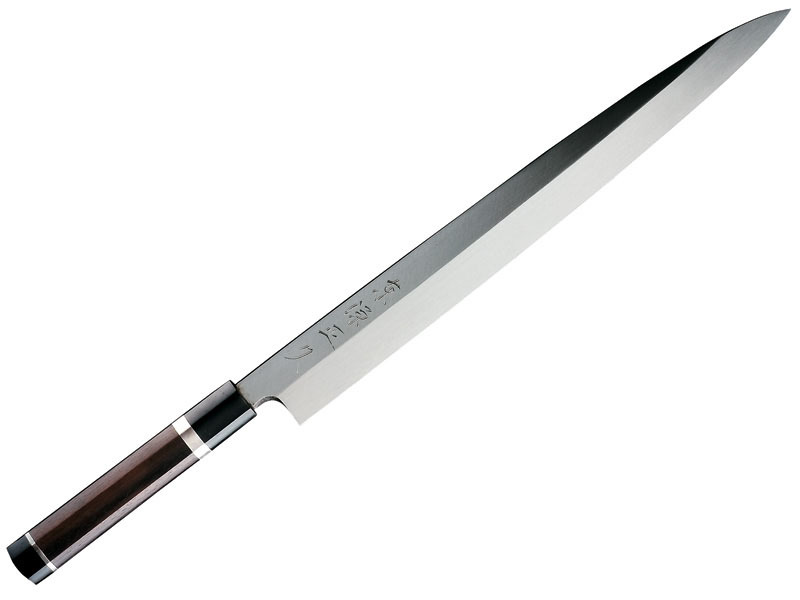 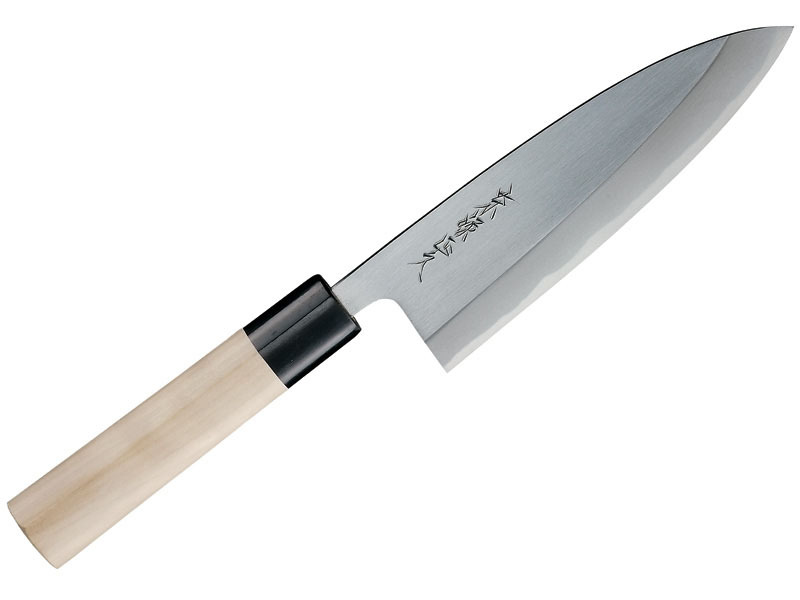 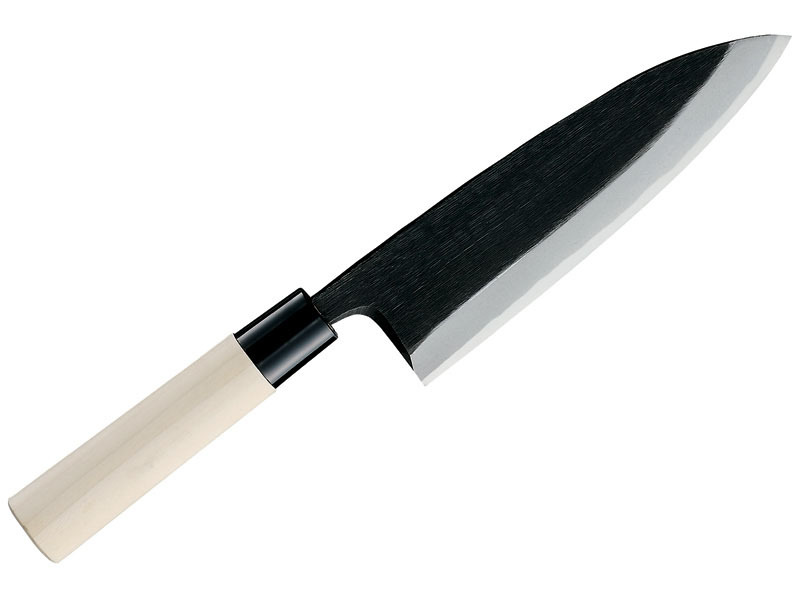 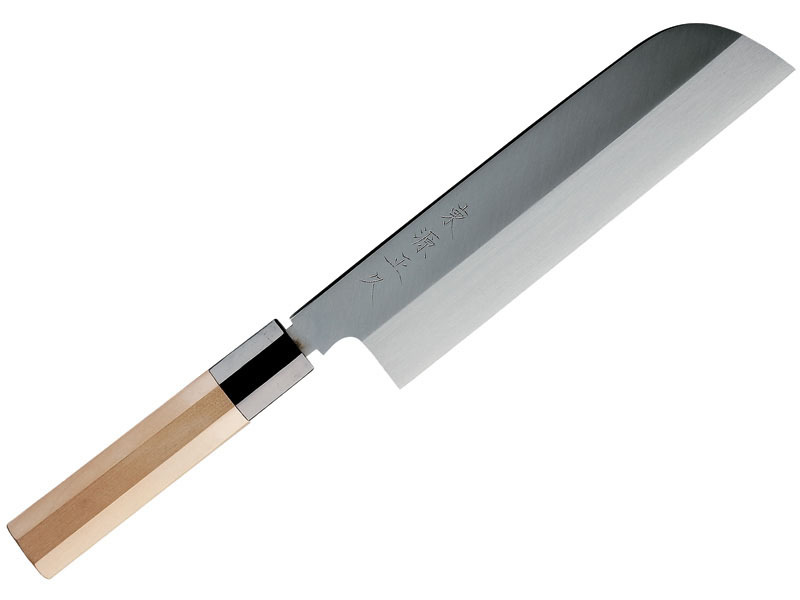 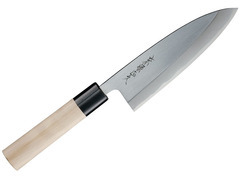 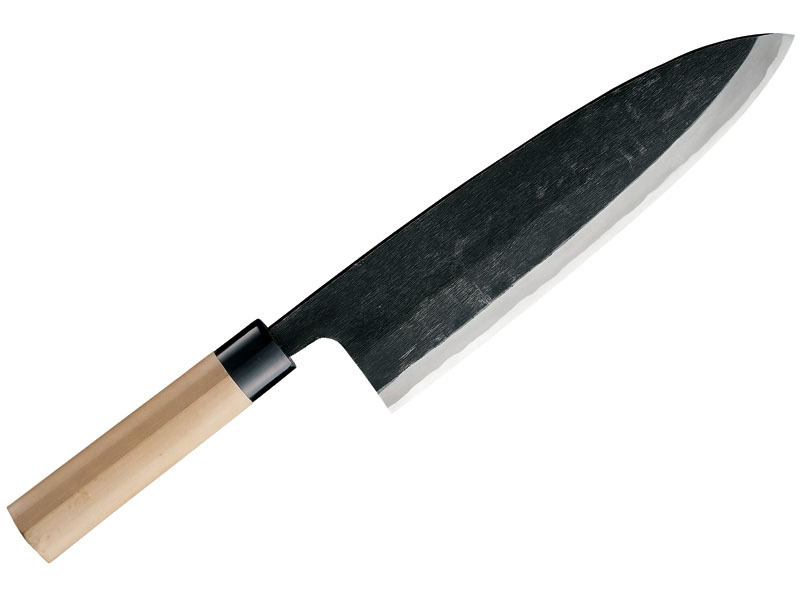 ”Deba narrower than basic Deba"
It is unsuitable to to cut the bone, but it is ideal for the fish fillet. This Deba is not good to cut the bone because it is too thin.It is frequently used not only fillet but also for skinning the fish. It is a Usuba that was born in the Tokyo of Japan. 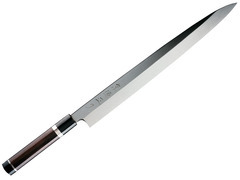 Usuba is the knife for vegetables that are used in sushi and Japanese restaurant. It is a thin, delicate blade, but it is best to peel and thinly sliced ​​vegetables. It's use is a bit difficult, but you can walk through to learn the techniques of knife When you use this knife. 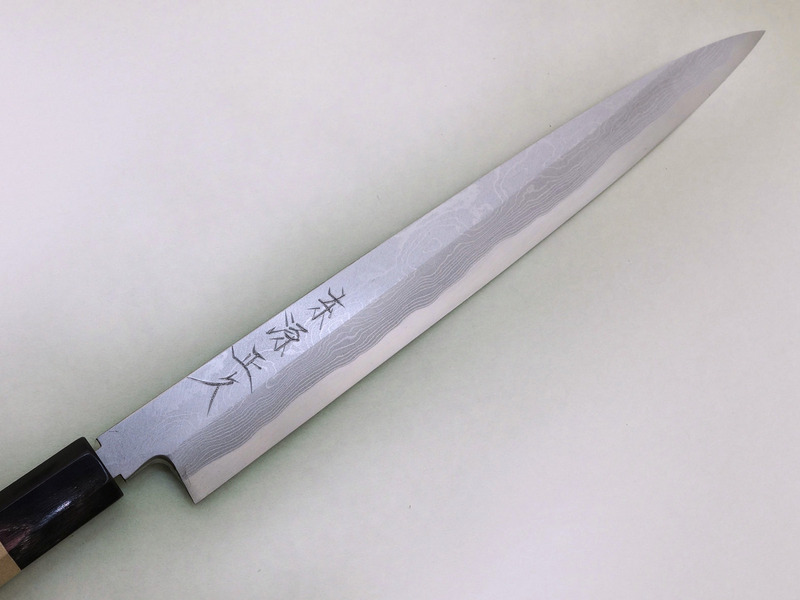 Sashimi knife that was born in the Kansai region of Japan. Purpose is the same as the Tokyo version. 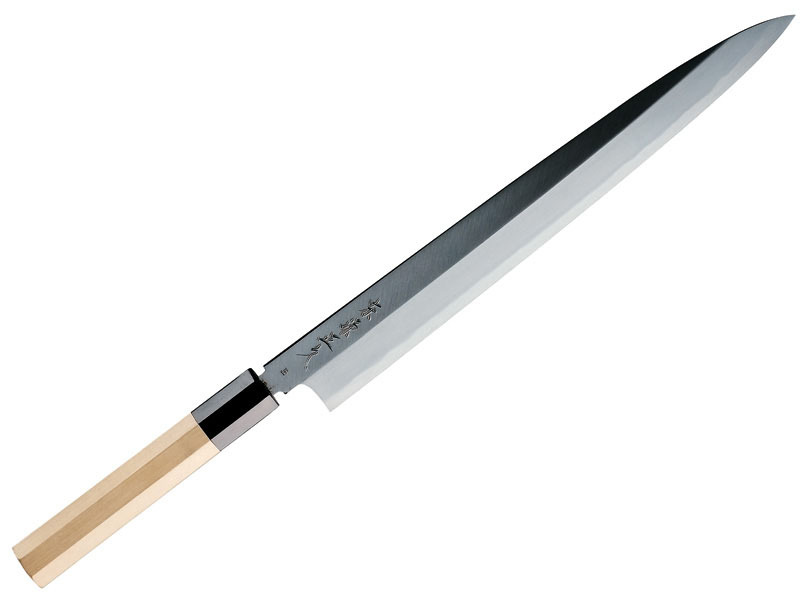 It is a knife for cutting vegetables in the same way as usuba. 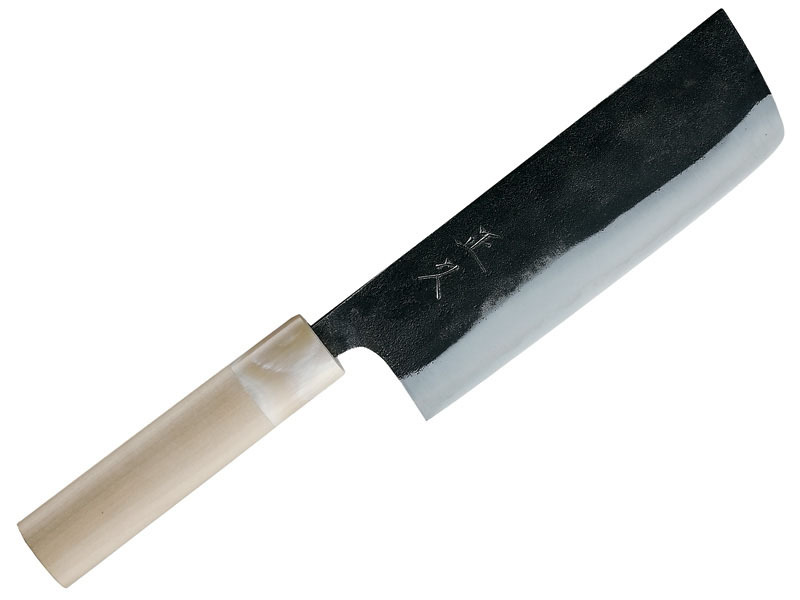 Big difference is Nakiri = double-edged.